AleaSoft offers two essential solutions to help you with your energy forecasting needs. The Modelizer is addressed to experts who want to construct their own models, while the Data Analyzer is a solution assisting you in the analysis of time series in energy markets. 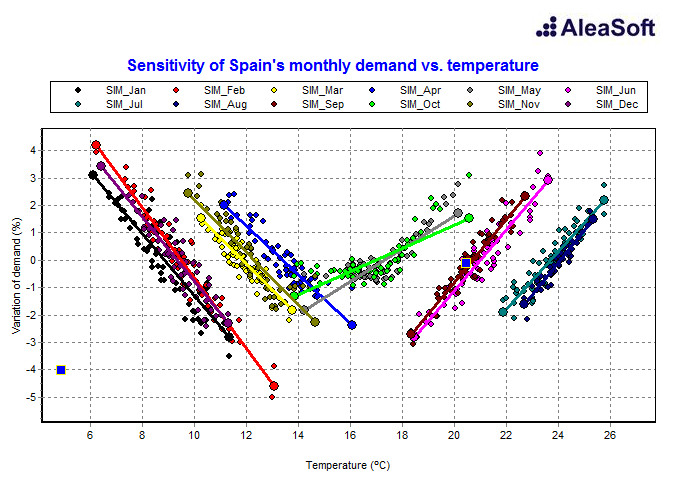 The AleaModelizer is addressed to our specialised users whom wish to develop their own forecasting models. The AleaModelizer uses different model typologies: Neuronal Networks, SARIMA, Regression or AleaModel. The AleaModelizer allows you to have flexibility, as one can model any frequency of data: minute, weekly, fortnight, monthly, quarterly, annual, etc. The AleaModelizer solution can support with as many explanatory variables as requested. The automatic learning process of the solution will acknowledge those variables. The AleaModelizer solution automatically pre-selects a set of most-suited models on the basis of performance. The AleaModelizer allows for a comparison of alternative models and a visualisation of performance indicators. One can have a better understanding of the models, through basic statistical parameters. The AleaModelizer allows the analysis of residuals, by means of graphical tools and statistics. In combination with the “Backtesting” module, the AleaModelizer allows one to develop batch forecasting in order to analyze the results by using a historical data-set. Permits a complete analysis of results. Allows for a deep analysis of input data. An easy detection of anomalies. Allows for storage of tables in a compact format. 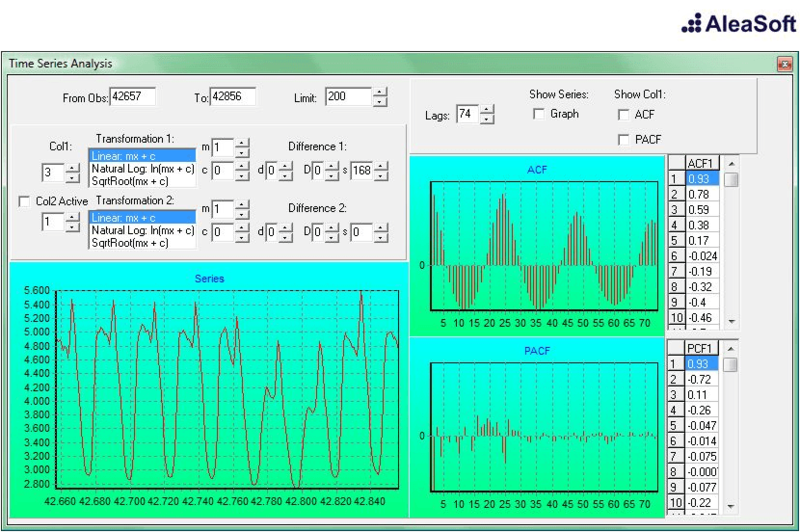 Ensures a fast and efficient manipulation of long series, such as hourly data in electricity series. The ADA has an unlimited capacity: allowing to store and edit series of any length. Permits a fast visualization of relevant information of the series (length, minimum and maximum value, etc.). Ensures a validation of the time-series´ continuity. Missing or null values are automatically fixed, when this occurs the user is warned. Guarantees a validation of the time-series´ consistency. Values out of range are automatically fixed and the user is warned. Functions with days of 23 and 25 hours. The ADA has a variety of graphical functions: graphs of temporary series, hystograms, bivariant diagrams. The ADA has a variety of graphical properties: a multiple zoom lens, a differentiation of types of days by colours, graphs with an unlimited number of observations. The AleaDataAnalyzer easily converts data in any format (Excel, ODBC, TXT… ) into the database´s internal format.